We are a traditional walk in family barber shop. Providing quality haircuts at a reasonable price for men, women, and children of all ages. 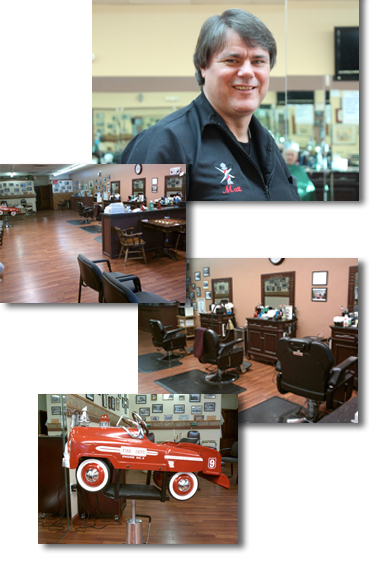 Our welcoming atmosphere features three barber stations and a comfortable waiting area with music, magazines, TV and a checkers board. We are handicap accessible with ample parking. Looking forward to seeing you for your next haircut.